Al-Monitor’s congressional correspondent, Julian Pecquet, wrote an article in Al-Monitor about the divided Iranian community in the United States, showing the Mujahideen-e Khalq (MeK or NCRI) against the regime in Tehran on one side, and the National Iranian American Council (NIAC) with the regime. Today’s critics, Parsi said, are the same Iran hawks – and their allies in the NCRI – who urged a tougher stance against Tehran at the time. In particular, Parsi points to the fact that the legal defense of Seyyed Hassan Daioleslam, the man NIAC sued for defamation, was organized by Daniel Pipes, a hawkish critic of radical Islam. The firm chosen to represent Daioleslam? Legal giant Sidley Austin, which just so happens to have been the US lawyer for arch-Iran foe Israel since 1992. NIAC failed to prove Daioleslam was acting out of malice and lost the case, even though the veracity of his claims was not established. 1) I did not “organize” the defense of Daioleslam. This was done entirely independently by Brooke Goldstein, the head of the Legal Project (the Middle East Forum initiative protecting the free discussion of Islam and related topics) at the time. I only learned about Parsi vs Daioleslam and Sidley Austin’s willingness to defend Mr. Daioleslam after she had arranged it. 2) Parsi states that Sidley Austin “just so happens to have been the US lawyer” for Israel since 1992. I looked into this and I see no evidence that Sidley Austin represents the Government of Israel, let alone since 1992. I challenge him to document this. As a large international law firm, Sidley Austin has “represented numerous Israeli clients in connection with transactional activity, as well as litigation, throughout the U.S. since the late 1980s,” but that’s not what Parsi said. 3) In characterizing Sidley Austin, Parsi ignores two important facts: that Sidley Austin was the law firm where both Michelle and Barack Obama started their legal careers; and FEC records show the firm’s lawyers collectively to be one of the very largest donors to the Obama campaigns of both 2008 and 2012. 4) Once we’re talking about who hired whom, let’s note that NIAC hired the PR firm Brown Lloyd James to help its case against Daioleslam and BLJ just happened also to work on behalf of Middle East dictators like Bashar al-Assad of Syria and Muammar al-Qaddafi of Libya. 5) Yes, NIAC lost the case concerning Daioleslam’s malice, but that’s not the whole story. 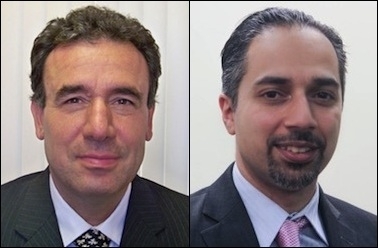 After dismissing the lawsuit against Daioleslam, the court issued a second ruling in which it sanctioned NIAC and Trita Parsi for discovery abuses (including false declarations to the court) and ordered them to pay $183,000 to Daioleslam for his legal expenses. 6) The veracity of Daioleslam’s claims were indeed “established,” as the court obliged NIAC to release internal documents revealing the organization’s extensive ties to Tehran, including a lobby effort coordinated with Iran’s ambassador to the United Nations and collaboration with two individuals named in a Congressional report as agents of Iranian intelligence.